As a young child playing football my mom use to tell me not to head the ball that I could get hurt, maybe even get a brain tumor. I always took that as a bunch of crap, just a mom worried that her son would get hurt playing a game. Now as an adult and as we learn more about brain trauma and with my own young son playing football, I realize that while her advice was outlandish in terms of what she believed it could be the results of me using my head to play the ball, it also had some basis in truth. So much has been made of brain damage and injuries in athletes but not much has been said about how these injuries could be happening to young players playing football. Most people associate these injuries to more physical sports like hockey or NFL but not the beautiful game. Dr Ann McKee a neuropathologist from Boston University who has done extensive work on NFL head injuries believes that children that play football and head the ball on a consistent basis are at risk of developing a brain injury. While I never gave this issue a serious thought I am starting to look at it with a different outlook, one of a concerned parent. I can see how heading a football could cause damage to a child brain, no different than any other head trauma. I don’t think most children playing the sport do it enough or on a consistent basis to cause any serious trauma but I am not a doctor, and it only takes one bad hit to have some long lasting ill effects on the individual. In 2002, Jeff Astle, former England and West Brom striker died at the age of 59 from a brain condition called chronic traumatic encephalopathy, which is an illness normally linked to boxers. While I don’t believe this was 100% caused by headers, I do believe that they could have had an impact in the development of the condition; it would be foolish to dismiss it. 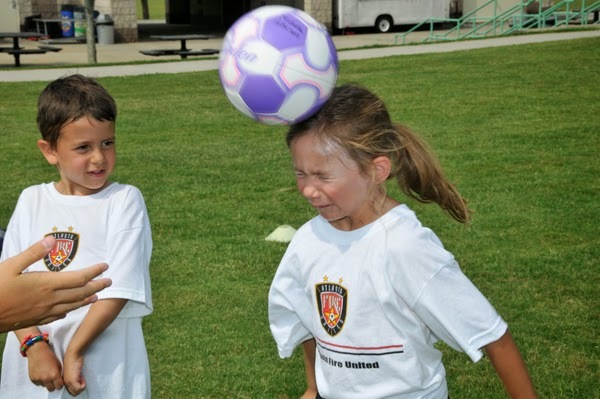 My concern is that until a child is fully developed or at least has become an adolescent, preventing headers on a consistent basis should be encouraged. 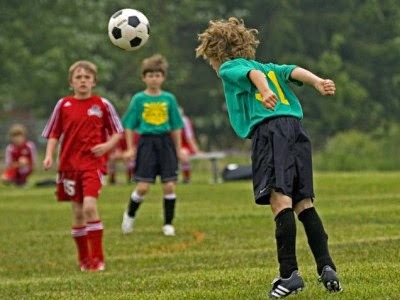 Heading the ball on a consistent basis from an early age could have serious consequences later in their lives. Will I change my view on headers or on how my son plays the game, probably not, since I don’t think he does it enough to really be an issue, so I rather work with him on teaching him how to do it properly than preventing him from it. I will for sure be more aware of it and pay much closer attention to it, than what I have done until now.